Edible Images. Printed on sugar sheets, which release from a backing paper so you can add them ..
2D Tractor. Approx 5cm long. 2 per pack. Available in red, green, blue and yellow. €3.55.. Edible Cow Cupcake Toppers. 3 per pack. €2.25 cupcake cow .. Edible Handmade Golden Dog. 1 per pack. €3.95 Golden Dog.. 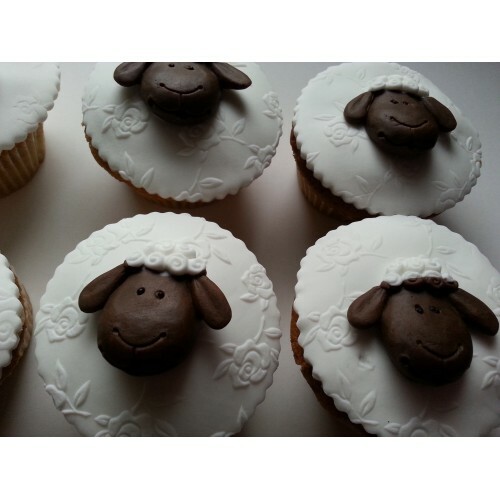 Pack of 3 edible sheep heads Ideal for cupcakes, or as cake decorations. Each one measures approximately 1" diameter. Handmade edible pig cupcake toppers. Approx 1" diameter, 3 pack. Ideal for cupcakes and celebr..